Since SmartBro is now PLDT HomeBro Ultera, most legacy canopy accounts are being upgraded one by one (whether you like it or not). If your SmartBro account is now converted to the new PLDT version and you'd like to make changes that are at least allowed like changing the Wi-Fi name and password, here's how to do it. Begin by bringing up the command prompt. How this is done varies depending on your computer's operating system. In general, typing CMD on the search bar will pull up the command prompt window. Type "ipconfig" after the computer user name (in the image above it's after Marcyscreed) and hit enter. From the results, look for default gateway. This is the URL you will enter on a browser's address bar in order to open the Internet Service Provider's (PLDT) interface. Make sure your device is connected to the right ISP (in case you have multiple Internet source) when doing this in order to accurately get the default gateway address. I entered 192.168.22.1. The window asked for a Username and Password. If nothing had been changed yet (assuming this is the case since it's a newly migrated account), the default login is simply homebro for both username and password. Once you have accessed the interface, click on Basic Settings under Wireless on the menu at the left panel. You can now change the Wi-Fi name under the SSID field. Don't change anything else. Changing the default configuration will mess up your connection. 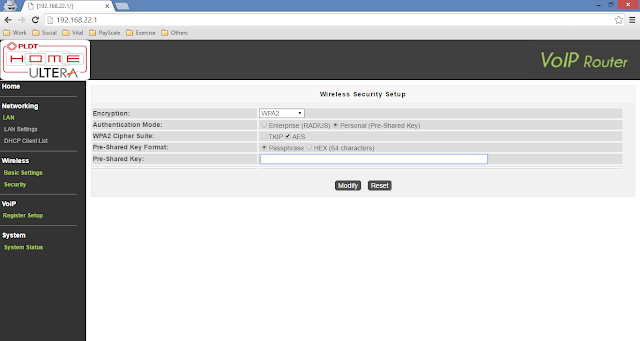 The Wi-Fi password on the other hand can be edited by going to Security, still under the Wireless tab. For all other PLDT HOME Bro troubleshooting needs, visit this page. I don't know which model you have but see if there's any reset button. You may be able to reset the device into factory settings so you can try using the default username/password after. I have this kind of problem also. will resetting could be the possible answer to my problem? See if you can do that. Some models don't even have a reset button. Hi. I cannot access homebro homebro? I want to change again the password. Try the troubleshooting guide from Homebro. There are different possible reasons kasi dyan. gd day sir/madam paano ko po ba mapalitan password ng pldt home ultera? You need to access the interface first and change the password dun (as shown in the post above). It works for me. Thanks much. can you change the homebro /homebro user/pass? Yes. You need to access the modem's interface first though and change it there. Kung na-aaccess ng phone browser mo ang interface (192.168.1.1), then you can still change it. how can i block a wifi user in Homebro ultera? pwede rin ba palitan ung homebro username at password na homebro? Wi-Fi password lang po yata pwede palitan. Default login sa interface, hindi yata. Hi! 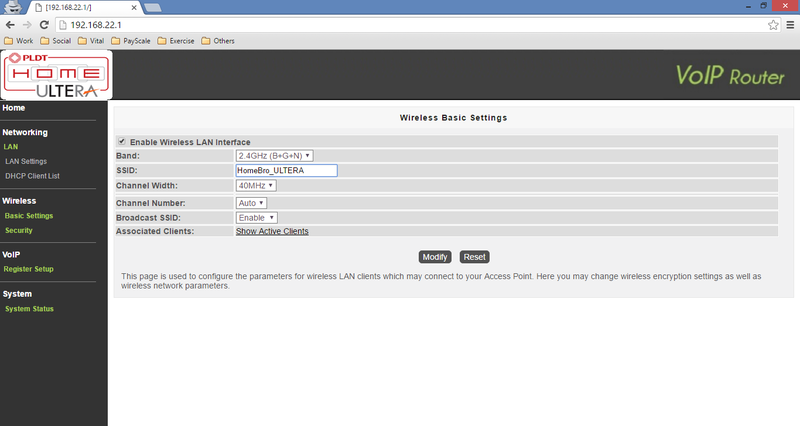 Nag try kami mag change ng name and pass ng router dun sa 192.168.22.1, nag work naman sya after. Kaso after a few minutes din di na kami maka'connect, so ni'reset ko ung router and tried it again kaso same thing happened lang. Pano po ba dapat gawin? Baka yung old WiFi password po nakasave sa mga device nyo? Try kung may "forget this network" option sa device para mare-enter yung new WiFi password. Access that account to reset your password. Boot your computer and press F8 repeatedly. Key in "Administrator" in Username, with no password. 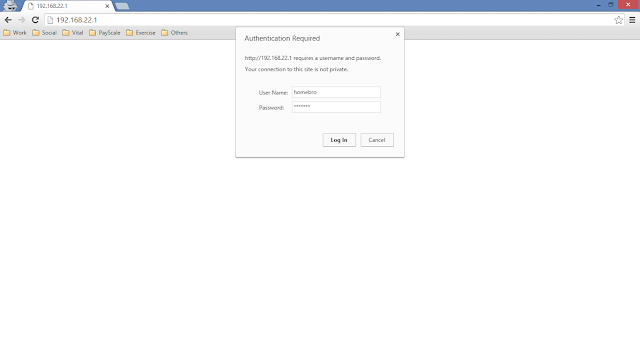 Go to Control Panel, then User Accounts. Select the account you want to reset the password. Safe po ba na i-reset yung router? Kasi hindi po kami makaconnect even our desktop and laptop so naisip ko na baka mareresolve yung problem na yun after resetting the router. Also makakaconnect po ba agad yung computer ko after reset? Di ko pa na-try personally pero may nag-comment dito na pwede ireset yung modem (pocket WiFi). Reset the Smart bro pocket WiFi. Try the hard reset option. Hold down the Power button and the WPS button simultaneously para back to default settings. You can afterwards open the default gateway using the default login (smartbro) to change the password from the interface pag-kapasok ulit dun. Bkit Hindi ko maaccess ung 192.168.22.1??? 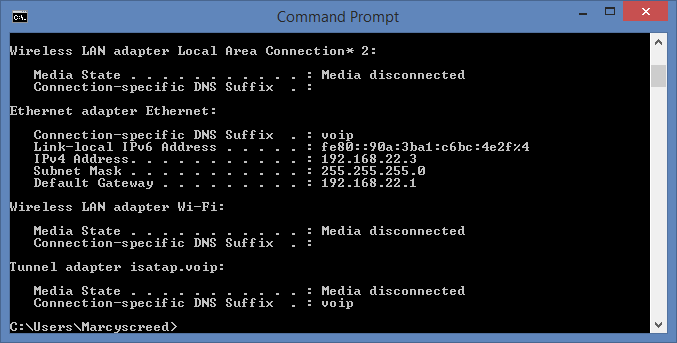 Kung tama yung default gateway based sa instruction above, try mo gumamit ng ibang device to open the interface address. Hi, do you know how to block websites in home ultera? Also, how to limit devices? Thanks in advance. Try to manually reset the modem para bumalik sa default password. hi po mga boss paano po mretrieve ung password s homebro ultera..bigla nlng po kc incorrect password..
hello i try to change ssid and password of homebro ultera na may default gateway is 192.168.15.1 sa una napapalitan siya after na ma restart o patayin at isindi bumabalik naman siya sa default ssid at password niya bkit po kya ganun? Hello! Kung Windows computer gamit mo, try mong idelete yung old connection (of the old ssid & password) sa Control Panel\Network and Internet\Manage Wireless Networks or idelete na lang lahat ng saved networks. Pwede ring ireset sa default ang router.